Thomas Mambande is a director of Emergent Africa, a business communications & enterprise development firm which helps organisations and entrepreneurs maximize their brand power within the marketplace. A niche player within the industry, Emergent Africa specialises in leveraging thought leadership to enhance performance and spur innovation within individuals, thereby harnessing potential within businesses. 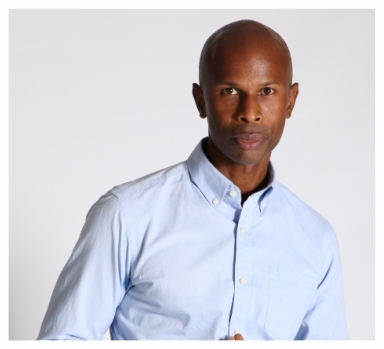 A social entrepreneur, speaker & writer with twenty years’ international experience in business consultancy, community development & advocacy, Thomas draws from a rich wellspring of insight, experience and legacy which inform the unique flair he brings to his work. An American national of Mozambican descent, he spent the earlier part of his career within the NGO sector, followed by stints as a journalist, commodities broker and trade consultant prior to forming Emergent Africa. Thus, he brings a diverse and multi-tiered perspective to the task of personal & organisational development. Since its inception, Emergent Africa has entrenched itself as one of South Africa’s most dynamic and versatile niche players within the communications & enterprise development arena. Past & former client partners include SARS, Barloworld, Nedbank, Telkom, Standard Bank, Business Partners, Gauteng Economic Development Agency & the Office of the Deputy President of South Africa among others. Through high-impact seminars and workshops, Emergent Africa helps entrepreneurs seize and maximize opportunities by building capacity within the spheres of strategy, communication and understanding markets. Within the public and private sector realm, the firm assists organizations with corporate communication, helping craft & deliver media content.